It is common to have questions when you are referred to a professional. Here are some of the common questions I get and hopefully you will find the answsers to what you are looking for. If you have a question that is not listed here, please send me an email. If you have a questions, others will too. When you come to La Bella Luce LLC ™, the first thing you will notice is peace and light. Our relationship will be nurturing and professional. You can be confident in the expertise developed during many years of experience. We take care of your soul. What will I get from my sessions with you? Many of our clients say they expand their well being, increase their vitality and experience joy. They awaken to a lifetime of peace, passion and connection with their authentic self. The healing path is a wonderful journey. During your first appointment, we will identify the issues you wish to address and discern the practices we will use. How Does Psychoenergetic Therapy Differ From Traditional Psychotheraphy? Psychoenergetic Healing blends conventional psychotherapy and spiritual healing. 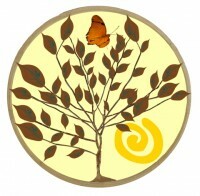 We may talk about the issues you bring to our conversation, as you would with any psychotherapist. We may also incorporate a multi-faceted approach by using one or more spiritual healing modalities. These may include hands-on healing, energy healing, shamanic journeying. We may also use empowered tools such as crystals or essential oils. How Does Psychoenergetic Healing Differ from Other Spiritual Healing? Why put off your worries any longer? Call 414-640-4977 for an appointment.